I get out to Las Vegas a couple of times every year. Usually, I’m there without a car, and my coffee options are limited to what’s available on The Strip. Unless you’re drinking the coffee from one of the restaurants, about the only place you can get a cup is by venturing into one of the stores with the big green logo. 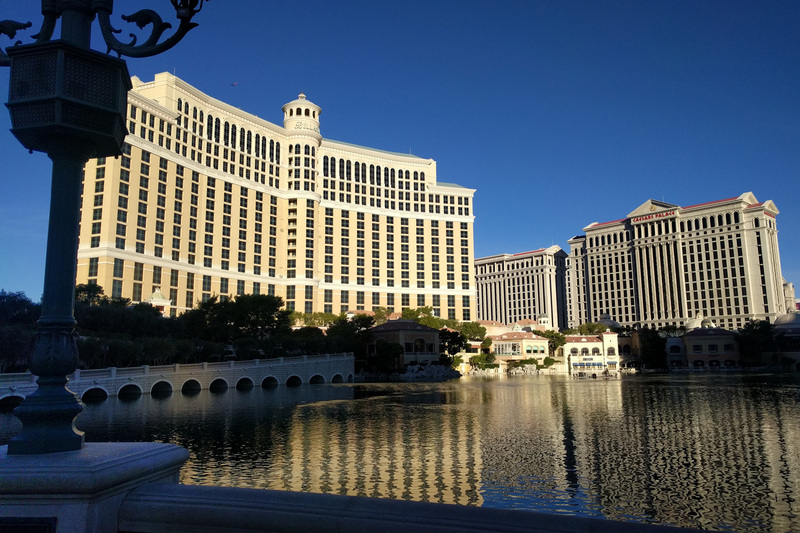 Since I’m not a big fan of their coffee, and I had access to a car on my recent trip to Vegas, I decided it was time to venture off The Strip to see what Las Vegas had to offer in the way of coffee. Given the population density, I figured there must be at least a couple of worthy options if I was up for doing some exploring. Without giving too much away, let’s just say my hunch was correct. If you’re going to visit one place off the strip for coffee, this is the place to go. On your way there, you will question whether you are going the right direction, all the way up until you make it to the front door. Even after I pulled into the parking lot, I wasn’t sure I was at the right place as the signage is non-existent. The only give away was a sign that said ‘Coffee’ next to a large wooden door with two large metal knockers on it. Once you enter, you are transported into a surreal, almost make believe place. The environment is welcoming, cozy, charming and completely isolated from the world outside. And when you see the crowd inside, you realize that it must be more than the atmosphere that it is drawing in the people. And as expected the coffee is amazing. The group I was with sampled everything from their pour over (my personal favorite for coffee), to their latte, to a specialty iced cold brew pistachio-cocoa flavored drink that was out of this world. I’ve been a fan of Sambalatte since I tried their location in the Monte Carlo on the recommendation of a friend. 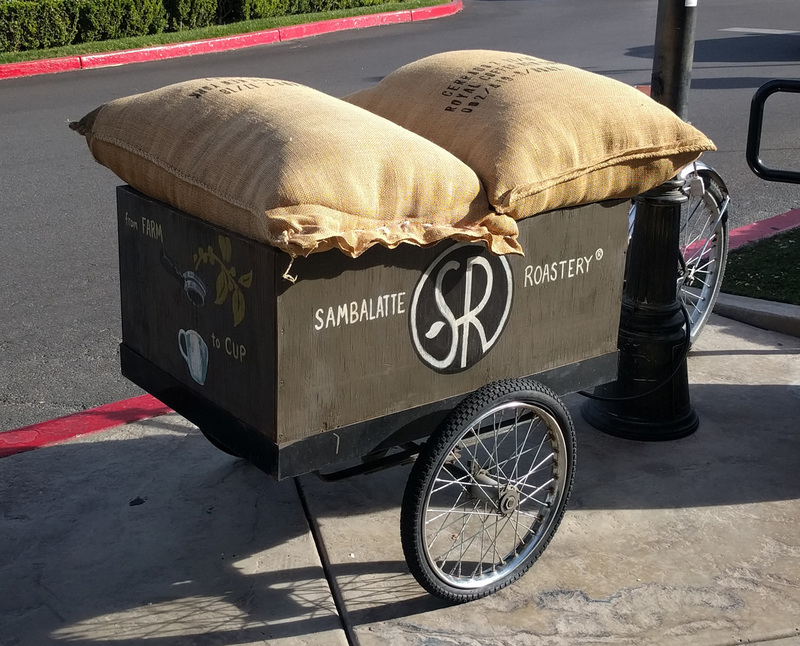 Unfortunately, after the remodel of the Monte Carlo to Park MGM, Sambalatte no longer has a presence on The Strip. For this visit, I decided to try one of their off strip locations to see if it was as good as I remembered. We visited the location in Summerlin, and it matched our expectations. The pour over I had was outstanding, and Lisa’s latte was also very good. Sambalatte is going to to be a bit further off the strip, but it’s worth the trip if you’re up for it. They also have locations Downtown and south of the strip if Summerlin is too far out of the way. Sometimes the best places are those that are in unexpected locations. Mothership fits this description. It’s located just southwest of the airport in a strip mall next to a Trader Joe’s in a very unassuming location. The location is so unassuming that Google Maps took us on a very circuitous route to get there and nearly got us lost, which doesn’t happen often. The adventure was once again worth it. 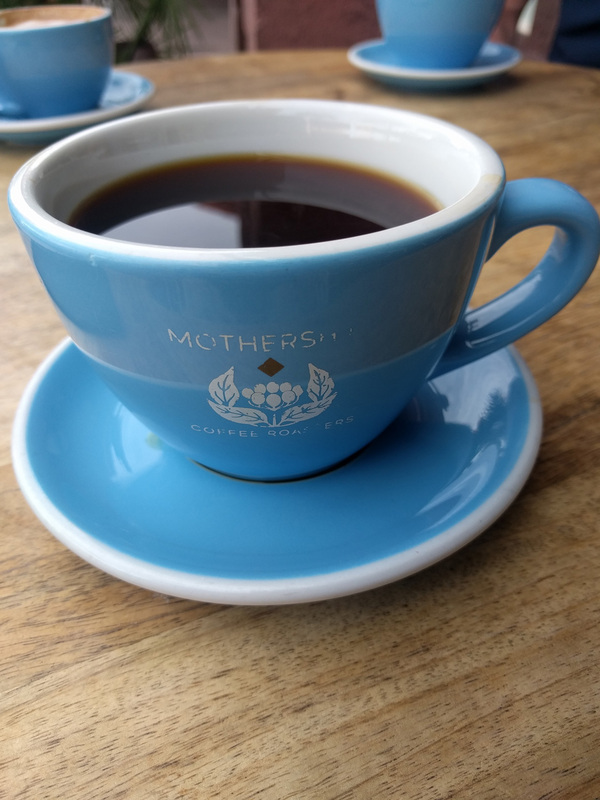 Mothership is a small coffee shop with a few outside tables on the walkway. The coffee is prepared with care, and it tastes great. I’d recommend it as a great place for a late morning or afternoon respite from the noise and craziness of The Strip. 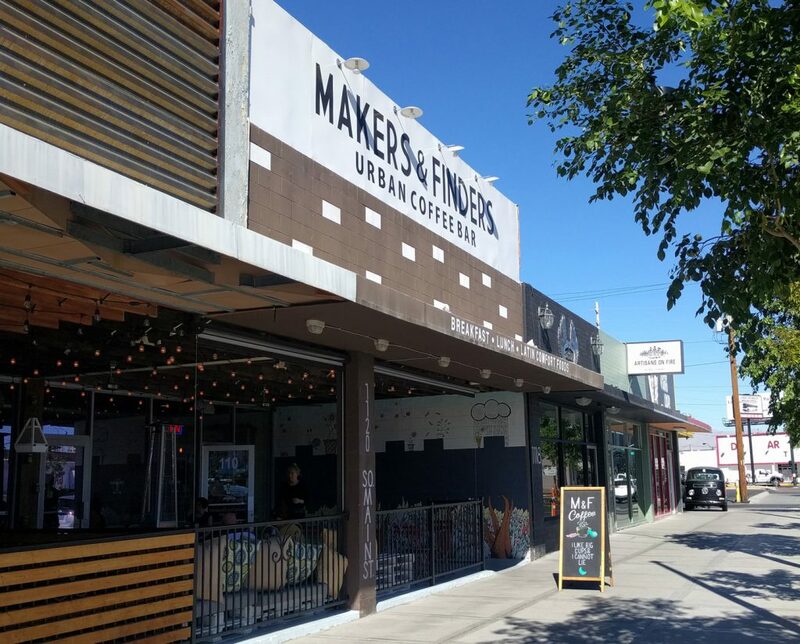 Makers & Finders bills itself as an urban coffee bar, but it’s more than that. It is a full service restaurant. It’s rare that a full service restaurant offers a full coffee bar, but Makers & Finders pulls it off. Both the food and the coffee were top notch. Oh, and did I mention they also offer a full service bar with custom made cocktails to compliment both the food and the coffee? And did I also mention that they are right next door to a micro-brewery, Hop Nuts Brewing? Needless to say, it’s got a lot going for it. 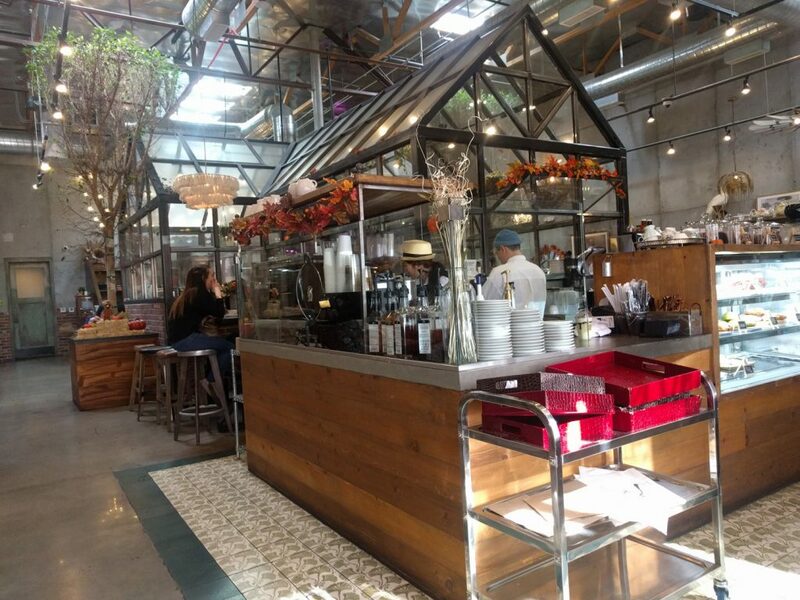 Makers & Finders is off the beaten path in that strange area between The Strip and Downtown Las Vegas. It felt like a redevelopment zone that is still a work in progress. I wouldn’t let the location deter you though. Just keep in mind that it’s not a place for a quick in and out breakfast. They put the proper care and time into preparing your coffee, and the food is made when ordered, meaning it will feel a bit slow. In other words, they’re not assembly lining out coffee and food. They want you to come in, sit down, and enjoy yourself for a bit as they prepare for you what tastes like a home cooked meal. I’m glad I made the effort to venture off strip to check-out the local coffee scene. I now have a few new places to frequent when I’m in Vegas. If there’s any other places you’d recommend I try, feel free to leave a note in the comments. 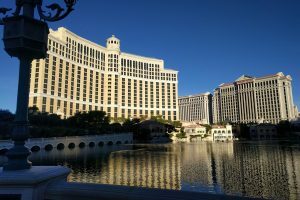 This entry was posted in Life Journal and tagged Coffee, Las Vegas on November 11, 2018 by Gregg Borodaty.